A new you, a healthy you. That could be one of the primary benefits of adopting a new lifestyle. Ayurveda is more than an ancient practice, it can also be a natural lifestyle. There are several ways to incorporate an Ayurvedic lifestyle into your routine. Follow this natural guide to live a holistic Ayurvedic life. There are several components to living a natural life, and they would boil down to diet and environment. Even more so, that to adopt a complete Ayurvedic lifestyle one must live seasonally. For example, during the summer season your diet would reflect foods that are cooling, any exercise you would incorporate would be moderate and performed indoors, etc. For more detail on this, you may be interested in Ritucharya. 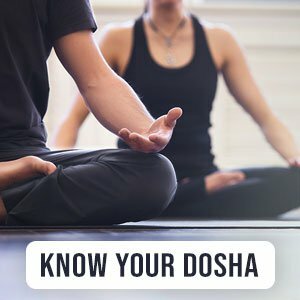 This article goes into more detail about Ritucharya, specifically on how to adapt through the different seasons of the year. You can however live a natural life following a few basic rules. These rules involve diet and environment or how you might interact with it. Having a healthy balanced diet can help you find solutions to a variety of issues, from just being fit to fending off Alzheimer's disease. Following a balanced diet is easy, and shouldn’t be treated with fear or complexity. The only person it comes down to is you. Having a healthy diet can improve close to 70% of your total bodily well-being, so it is best to get started ASAP. Check out our articles for various diets that might suit you best. Alternatively consult our doctors for a more personalized plan. Supplementation in Ayurveda does not necessarily connotate the same meaning as that of the West. Supplements in Ayurveda are used in a supplement to one’s diet, but can also be used to facilitate someone to adapt a season. For instance, warming herbs and spices (like cinnamon) can be used in the winter to warm up the body. You can find a variety of herbs and spices, as well as supplements on our shop. Make a few small changes with diet and exercise and see vast improvements on your journey to a natural healthy life.